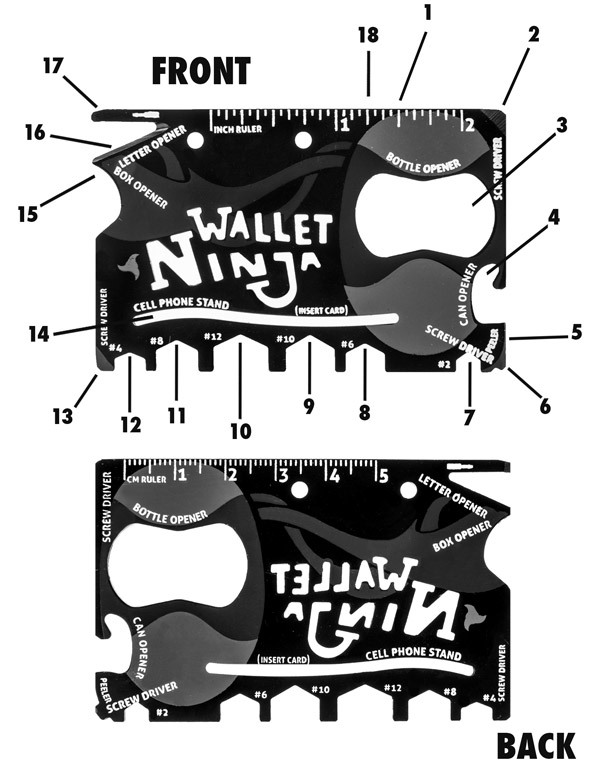 Wallet Ninja: 18-in-1 multi-tool for your wallet. 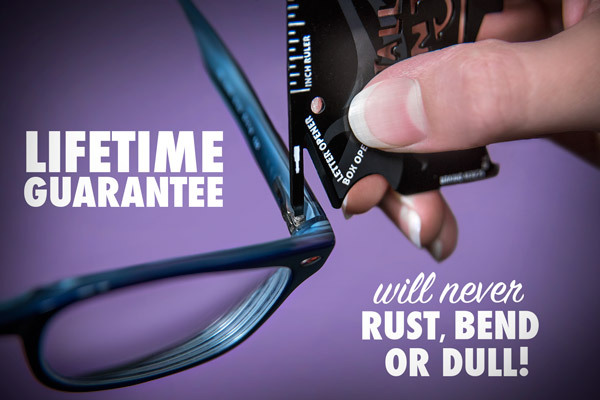 Keep this multi-tool in your wallet and you'll always be prepared to slice open that cardboard box from Vat19 full of curiously awesome products! 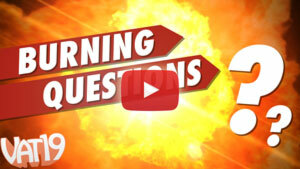 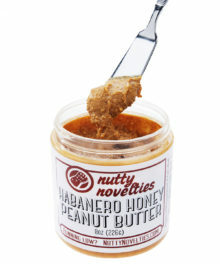 The Wallet Ninja features a bevy of useful tools that will always be at-the-ready! 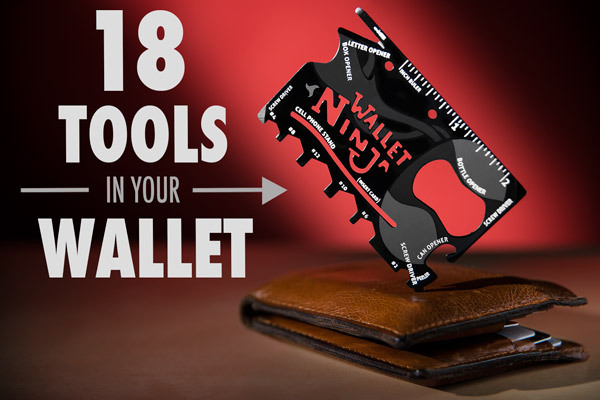 Despite being completely flat and the size of a credit card, the Wallet Ninja boasts 18 useful tools. 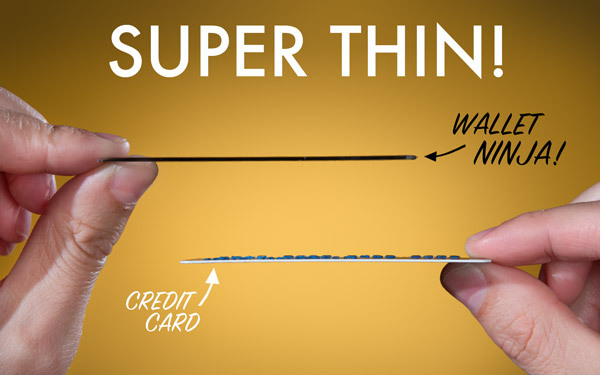 At a mere 1.5mm thick, the Wallet Ninja is thinner than two credit cards. 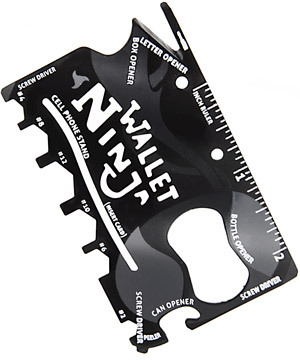 The Wallet Ninja is made from heat-treated steel that is guaranteed to never rust, bend, or dull. 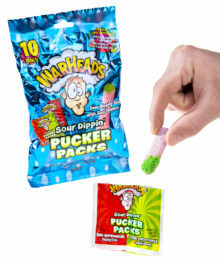 Slide a credit card through the specially-designed slot and showcase the latest amazing video you've found online. 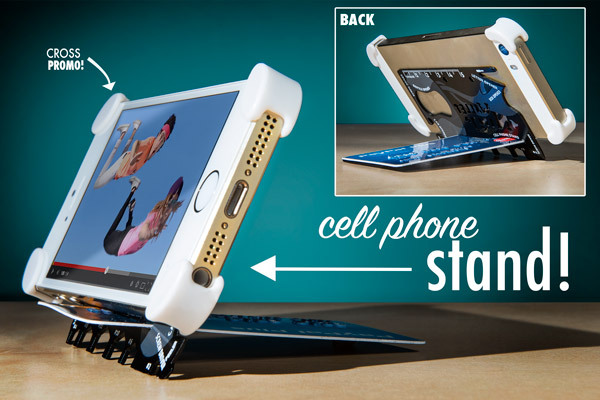 With the help of a credit card, you can transform the Wallet Ninja into a smartphone stand. 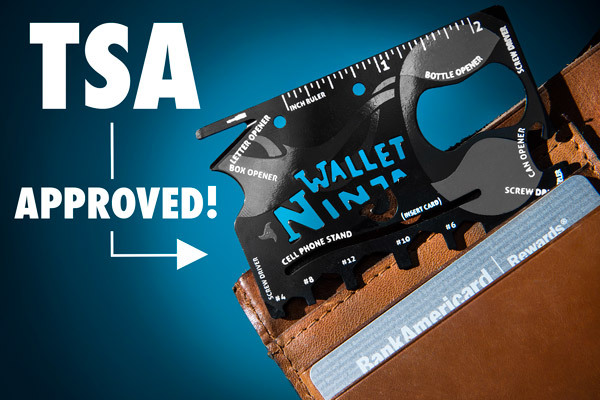 The Wallet Ninja is one of very few multi-tools approved by the TSA! 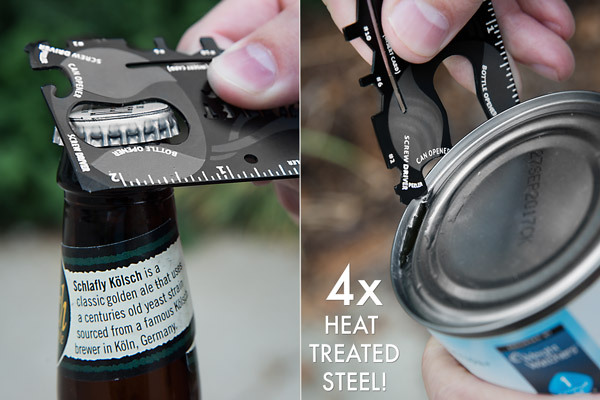 The Wallet Ninja includes a convenient bottle opener and a serviceable can opener in a pinch.